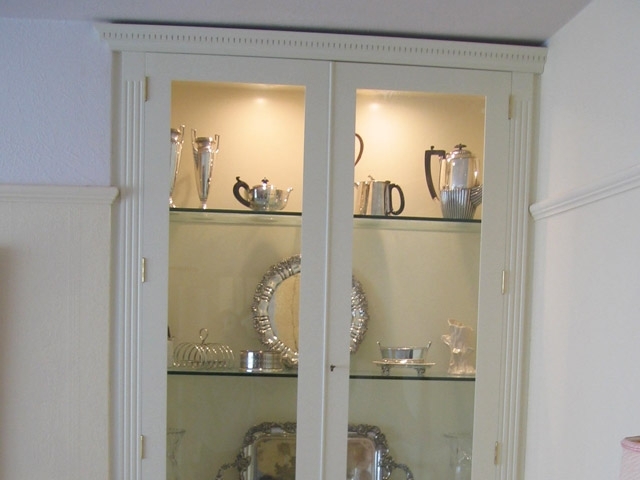 These white, spray painted lounge display cabinets with glass shelves and downlighting provide an elegant and effective storage solution for the client. Spray painted in off-white, individual switches to each cabinet give control over the lighting to create the right mood. 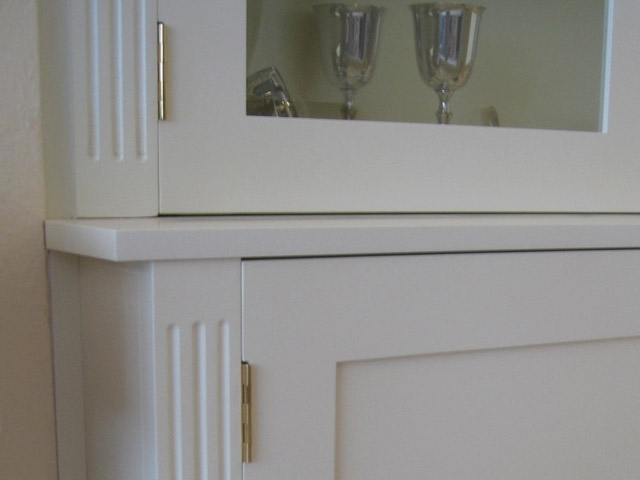 The design of the cabinets includes fluted pillars with shaker style bottom doors. 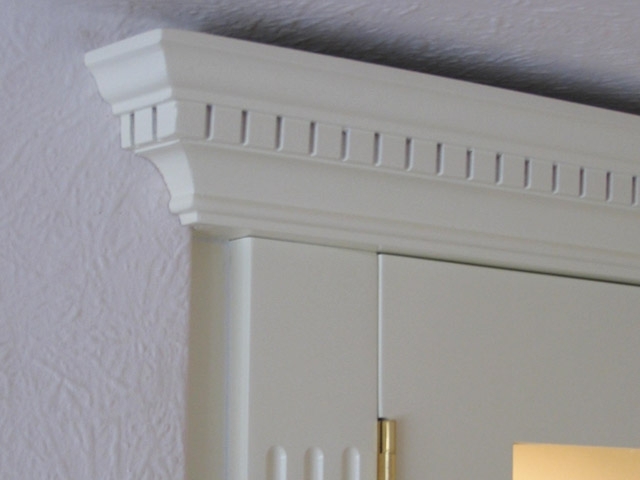 The look is completed with an elegant cornice and dental mould on top. 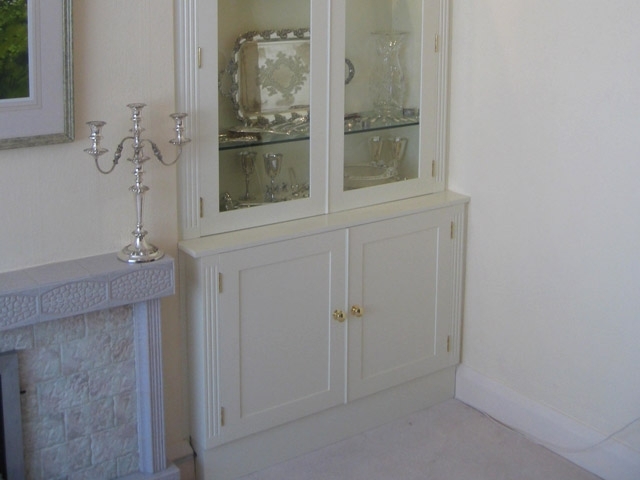 We hope you will agree that the photographs on the left perfectly demonstrate the level of quality in the detail of any bespoke furniture project by Bourne's Fine Furniture, experts in hand-made lounge furniture. We originally found Ian on the web. A "stab in the dark". What impressed us initially was he appeared interested in what we wanted to do and, most importantly, he responded quickly and efficiently to our quotation queries. This enthusiasm and efficiency was carried through to the job itself. He proved reliable, punctual, responsive to our queries and sympathetic to our requests. 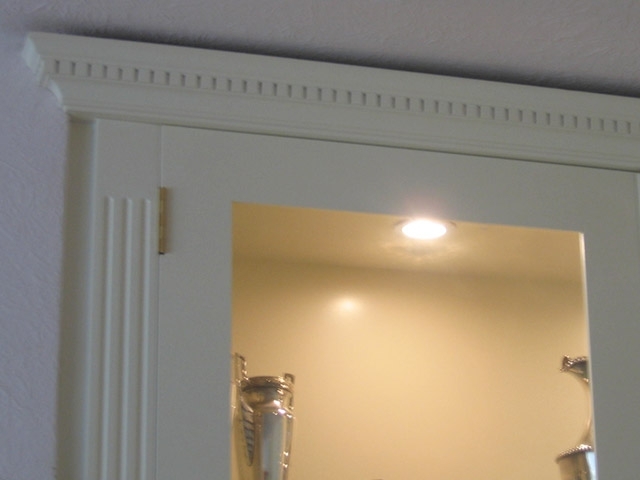 Also, his obvious skill, eye for detail, perfectionism and desire to complete a job ensured we got what we wanted.